Thomas is in search of pirate treasure and he needs your childs help! Children can imagine swashbuckling adventures with this playset that includes a sea monster, pirate ship, treasure chest and die-cast metal Thomas engine. 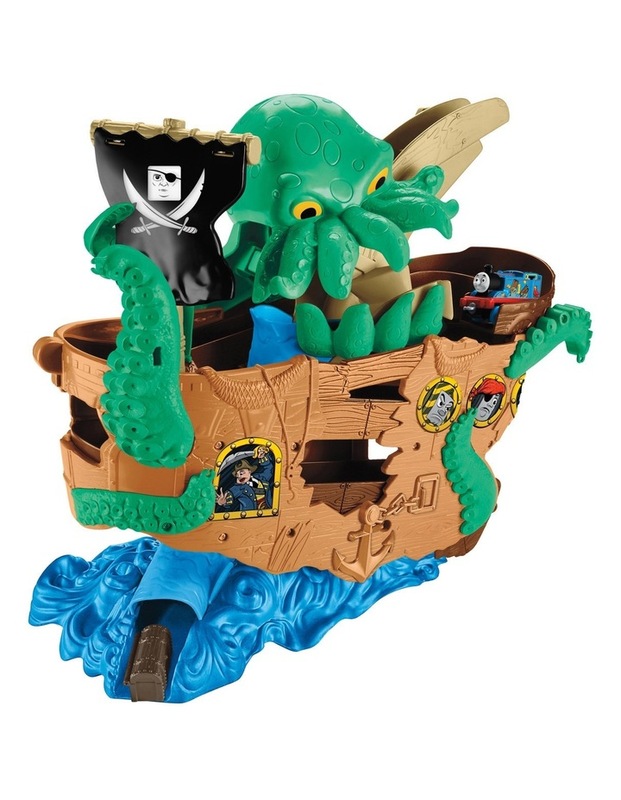 Thomas must also face the fearsome sea monster that has its eyes (and tentacles) on the treasure, too! Children can send Thomas up each level of the ship until he reaches the top, where the monsters chomping fangs await. When Thomas reaches the top, the treasure is released and hurtles back down the ramp behind Thomas! The ship also features swashbuckling pirate-themed designs, including a few of Thomass friends decked out in pirate gear, ready to join the adventure.